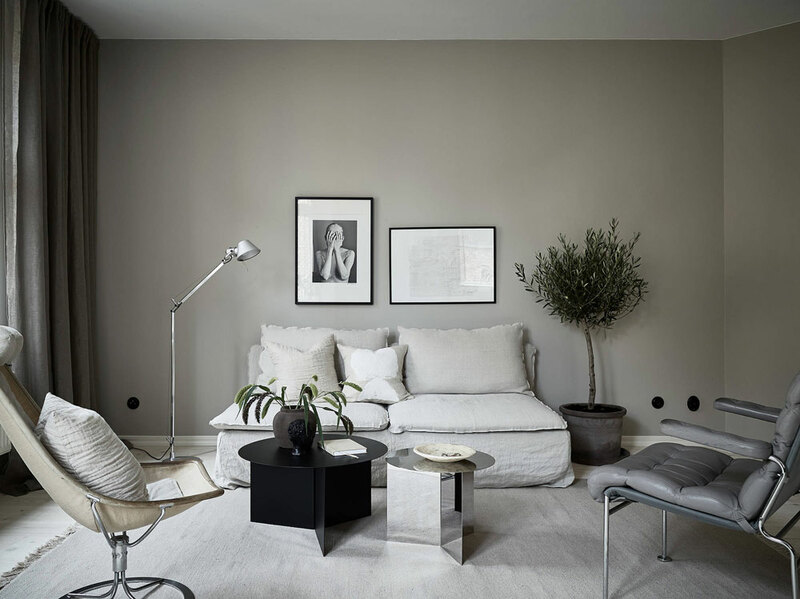 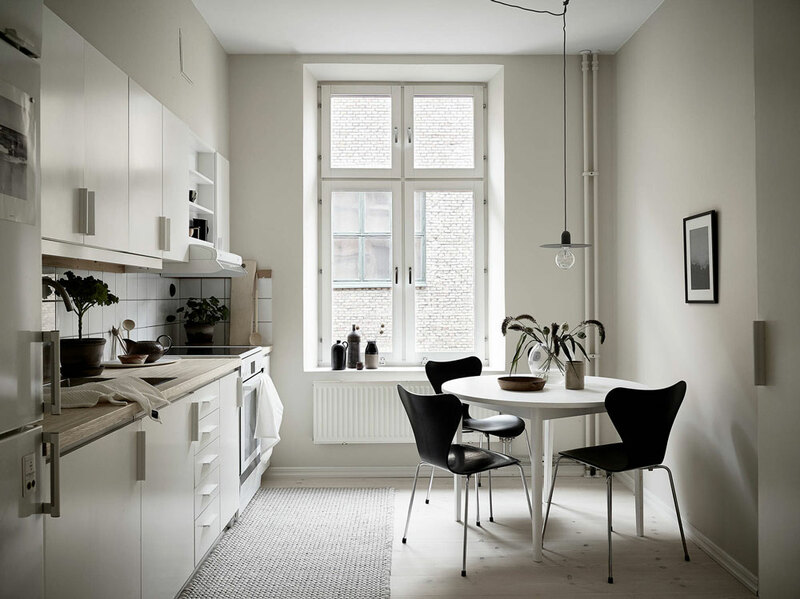 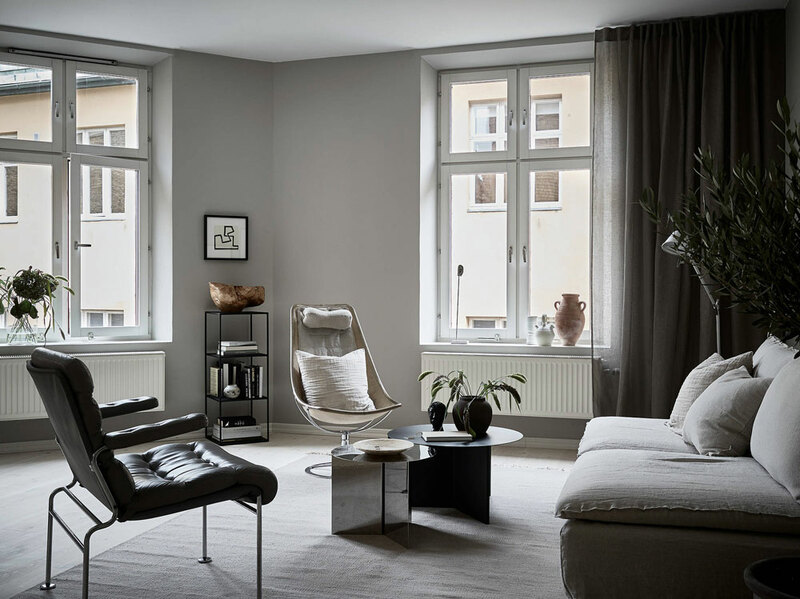 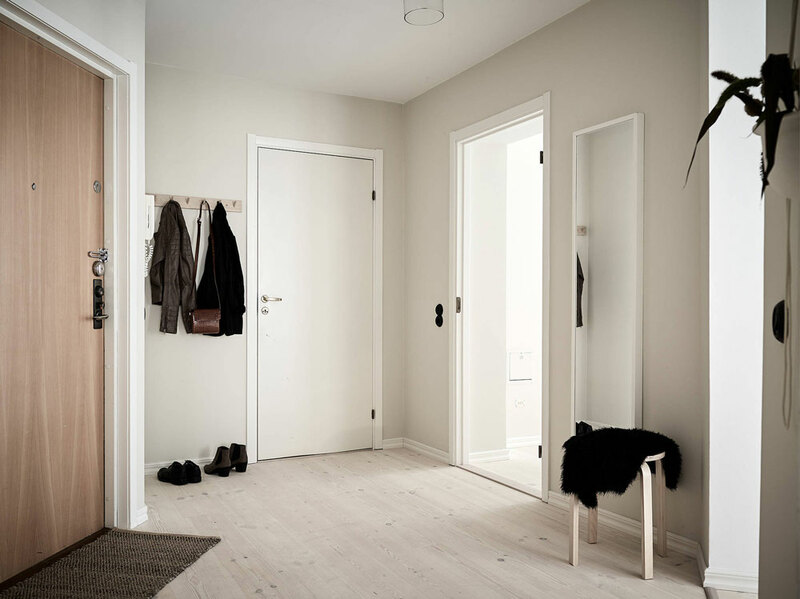 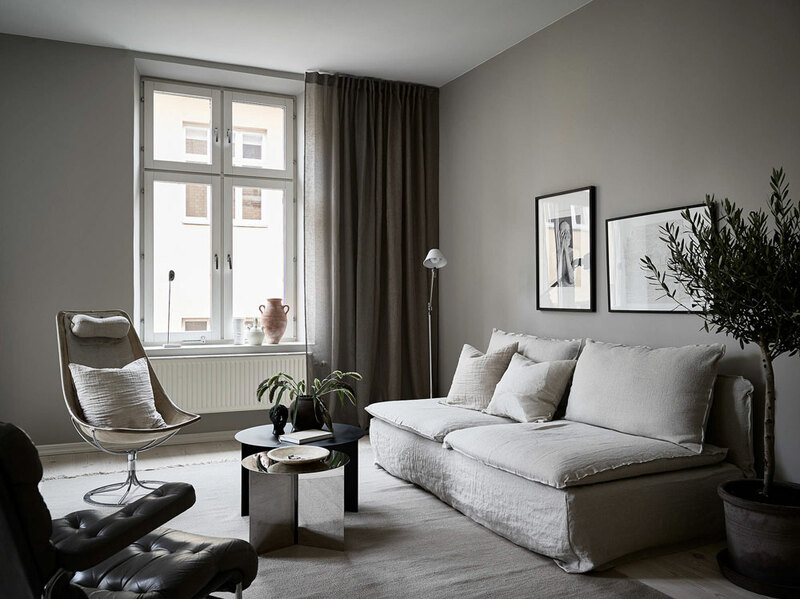 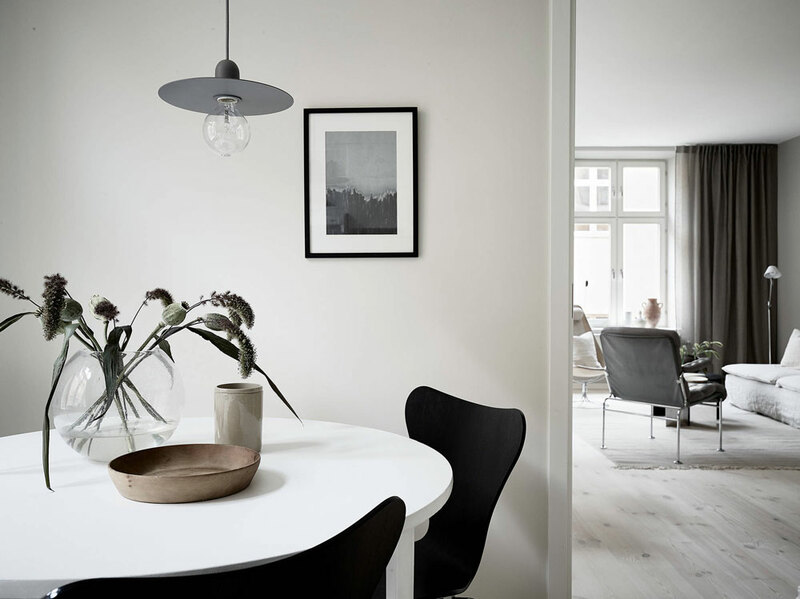 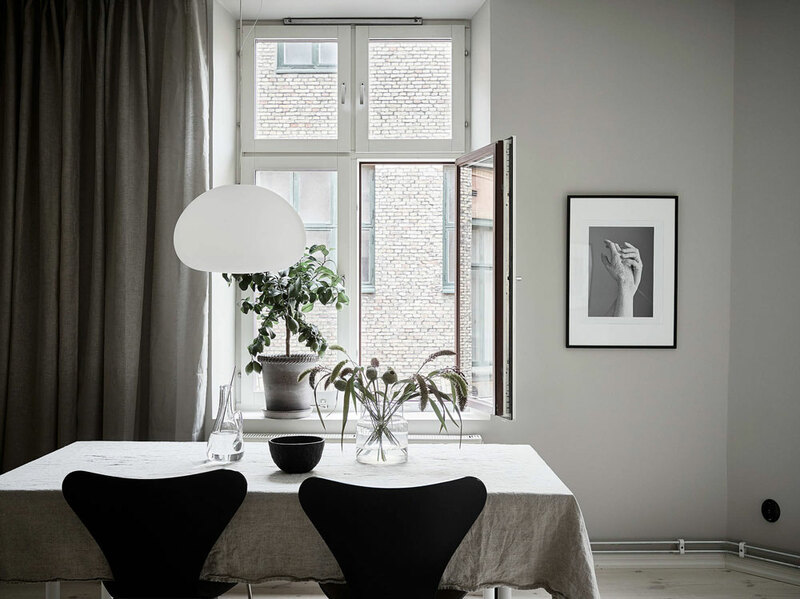 Today I’m taking inspiration from this lovely, serene Swedish home in soft and warm grey hues. 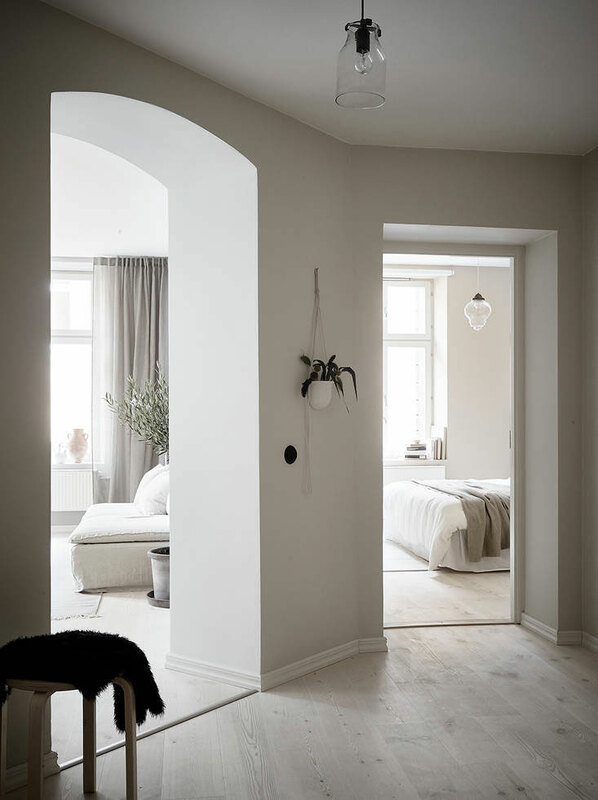 There is a careful blend of new nordic, Art Deco touches and vintage finds, resulting in a stylish, modern yet cozy abode. 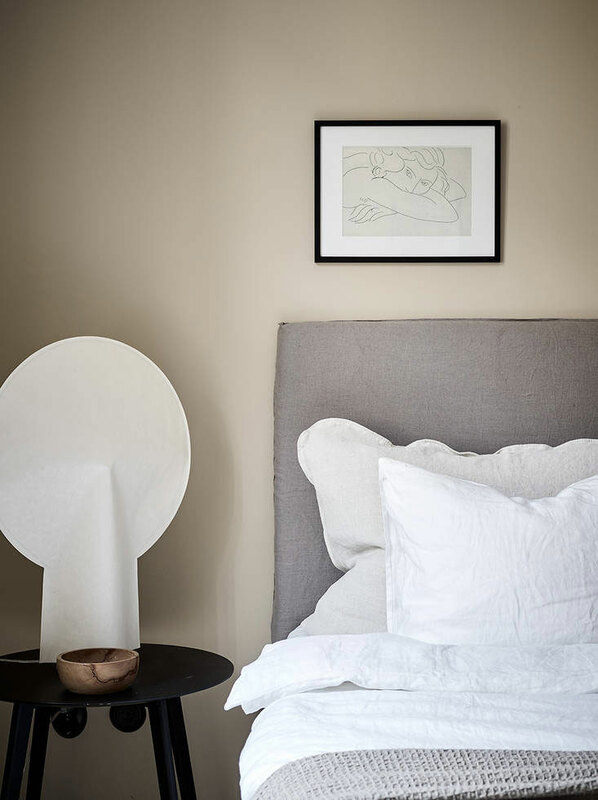 The sand shade in the bedroom is a total hit right now. 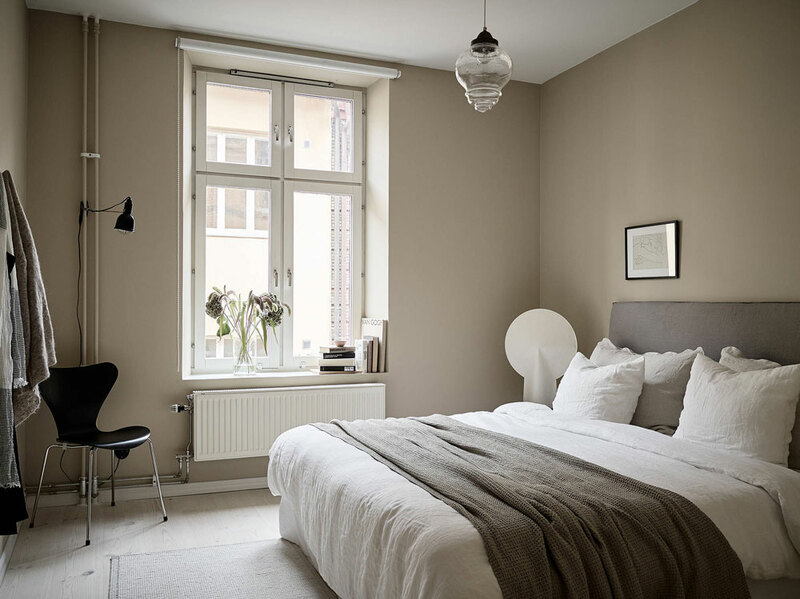 What’s your take on the beige trend? 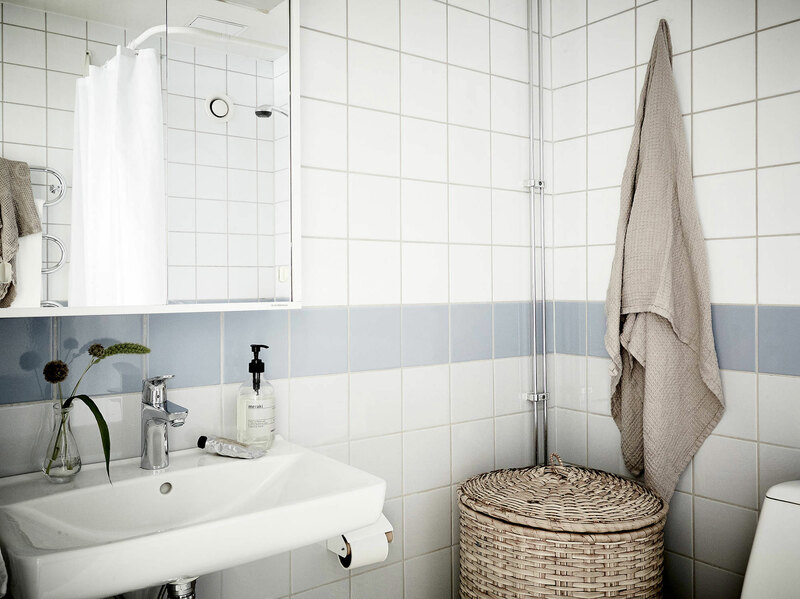 + Make sure to add plants and lots of washed linen fabric (tablecloth, pillowcases, curtains headboard, etc.). 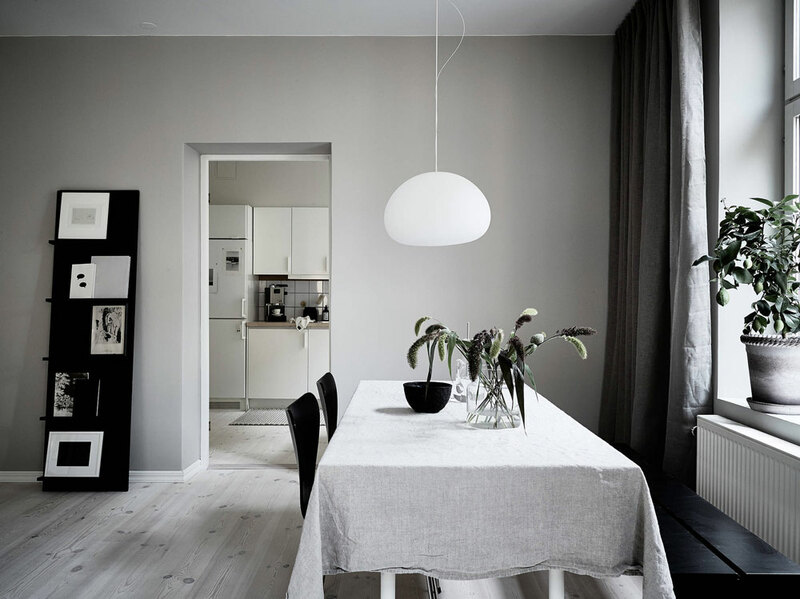 For similar wall paints, I recommend SW Analytical Gray, BM Revere Pewter, Behr Wheat Bread, or FB Elephant’s Breath.